3.5 stars. I found it a tad predictable.However, all the details are wonderfully thought out, including zombie versions of famous songs. 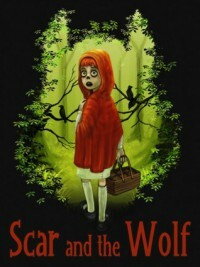 Scarlet is a likable character who grows and while the book is quite as good as [b:Zombie Little Red Riding Hood|13438513|Zombie Little Red Riding Hood|Lindsay Rochelle|http://d.gr-assets.com/books/1329095300s/13438513.jpg|18945771], it is still good and very creative. Will read more in this series.